Our early morning backgammon really started by accident about two years ago. I was teaching backgammon to my friend Keith, over an early morning coffee before work one day. We continued to play for a few weeks in Caffe Nero and suddenly I realised people were listening to me as I taught the importance of the 5 point and why you should consider your game plan after every roll and the probability of leaving 17 shots or 11 shots etc. Before long, I had invited some of the customers who had shown an interest, to start learning Backgammon. The early morning sessions have now extended to 5 mornings a week. I also have a couple of players who can only make it at the weekend, so I end up playing 7 morning most weeks. Regular players include a Web Designer, Retired Fire Fighter, Gas Engineer, Care Worker, Long Distance Lorry Driver, Chef. It’s a mixed bunch of interesting people who are now great friends. Their love of the game of Backgammon is infectious or is it the coffee? 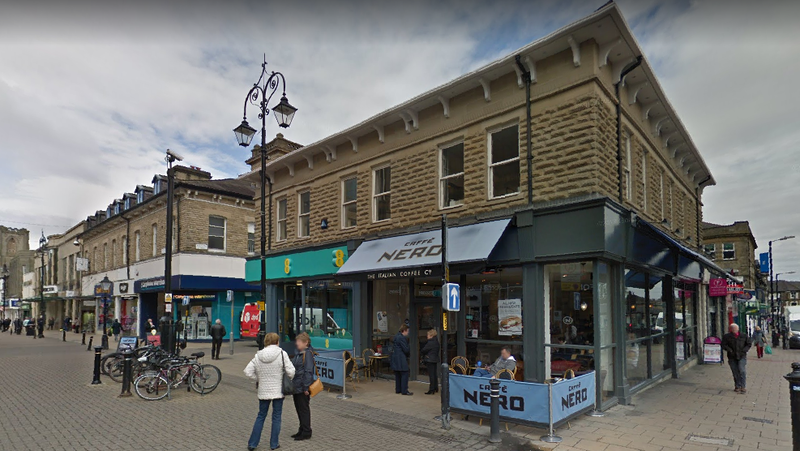 Harrogate Backgammon Club meet at Caffe Nero, 6 Cambridge Street, Harrogate – pictured above – every weekday morning from 6.30 to 8am, as well as Monday evenings at the Empress, 10 Church Square. Does your club have an unusual venue? Do get in touch and we’d be delighted to feature you here! What an excellent and uplifting story in these troubled times. It sounds really amazing. I admire your energy and patience. What a lovely story of how people are drawn to the game. We meet in tennis and squash club. Many of the tennis and squash players come over and have a look at what we are doing. Some of these sports people, being competitive by nature have learned to play backgammon and a few are determined to improve. Well done Colin, keep up the good work.